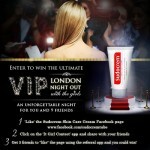 Sudocrem Skin Care Cream has launched another exciting competition! One lucky winner will bag themselves an iconic Diane Von Furstenburg Handbag, one of the most desirable gadgets of the moment – the iPhone 4S, and a year`s supply of handbag sized Sudocrem Skin Care Cream to boot! Also, 50 runners up will receive a FREE tube of Sudocrem Skin Care Cream. Terms and Conditions apply. This is a fantastic opportunity to win a super stylish DVF piece and the fastest selling phone of all time. So don`t miss out! Step 3 – The winner and runners up will be chosen randomly from those that answer all three questions correctly. Keep your fingers crossed that you win! 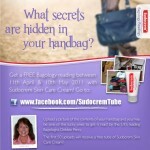 The entrant should `Like` the Sudocrem Skin Care Cream Facebook page (www.facebook.com/sudocremtube), complete their details when prompted and answer three multiple choice questions to enter the competition. 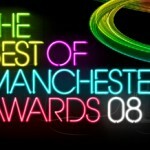 Entries must be received by Saturday 25th February 2012. The acceptance, disqualification or deletion of competition entries, without explanation or prior notification is entirely at the discretion of Forest Laboratories UK Ltd. Prizes are as follows: 1st Prize – Diane Von Furstenburg hand bag and iPhone 4S (16GB), 12 Sudocrem Skin Care Cream Tubes (30g) (total value approx. £1,000). 50 runners up will receive a 30g tube of Sudocrem Skin Care Cream. Do not miss out on these amazing prizes!